For those of you who haven't seen it, Tara Parker-Pope write a nice article on obesity in the latest issue of NY Times Magazine (1). She discusses research showing that the body "resists" fat loss attempts, making it difficult to lose fat and maintain fat loss once obesity is established. Levels of leptin, a hormone that suppresses hunger and increases metabolism, also remained lower than expected. A cocktail of other hormones associated with hunger and metabolism all remained significantly changed compared to pre-dieting levels. It was almost as if weight loss had put their bodies into a unique metabolic state, a sort of post-dieting syndrome that set them apart from people who hadn’t tried to lose weight in the first place. She also relates a few anecdotes about obesity and weight loss-- including her own candid story. These anecdotes include a couple who have maintained their weight loss by heroic efforts at calorie counting and exercise. The idea that the body actively regulates body fat mass around a "setpoint", defending against changes, is something that I've written about many times on this blog. My mentor Dr. Mike Schwartz, among others, has been beating this drum for many years. I'm glad this research is gaining ground in the mainstream press. This body fat regulatory system is something that we have to understand, and work with, if we want to effectively prevent and reverse obesity. I read this article. It seemed to be talking about people with a metabolic disorder who then go on to resume their normal diet. In this scenario regaining the weight isn't surprising. People with damaged metabolisms need to really watch what they eat for the rest of their life. Volek and Phinney talk about this in "The Art and Science of Low Carbohydrate LIving". I would like to see what happened if they hadn't done a crash calorie starvation diet... everyone knows what happens to people who crash diet. Although it's practically impossible, it would also be nice to be able to compare their levels to before they became obese. "At that point, the 34 patients who remained stopped dieting and began working to maintain the new lower weight. Nutritionists counseled them in person and by phone, promoting regular exercise and urging them to eat more vegetables and less fat". But despite the effort, they slowly began to put on weight." While this study is certainly important, in that it measures weight loss maintenance in a ecologically valid context (i.e. a real life, as opposed to lab), it would be very interesting to see whether different dietary recommendations (e.g. emphasize a moderate amount of healthy fats; restrict refined and processed foods) could have an impact upon weight loss maintenance. The article makes a very compelling case for a major genetic contribution to obesity. However, it is also clear that obesity is a modern epidemic, indicating a very strong interaction between modern food culture and genes. The question that desperately needs to be answered is whether there are any strategies for sustainable weight loss. Based on my limited knowledge in this area, a paleolithic type approach seems promising. In particular, it would be very interesting to see to what degree hormonal changes can be reversed, in addition to being prevented. It would be great to see someone like Steffan Lindeberg explore this, although I see no reason why a dozen other labs couldn't easily do the same. The NYT articles was not very helpful, or more to the point, useful. 2. 95% of what is sold in a grocery store is toxic. I noticed that the two people they profiled for long term weight loss still ate things like toast, french toast, and good amounts of fruit. It seems all the calorie counting would be unnecessary for sustainable weightloss if they just cut out the refined carbs and sugar. I think this is a terribly misleading article. Yes, it's important for people to understand that some people's bodies make it harder for them to lose weight. But the anecdotes provided give the impression that these people who have a harder time must go to extremes in order to lose weight. I fear that many people will read it and just decide it is hopeless for them because they are unwilling or unable to go to these extremes. I wish the article had talked about the successes of the easier-to-manage diet and exercise practices that many of the readers of this blog know very well. If you read the comments about the article on the "Well" blog, you'll see that many of the most popular comments share my sentiment. The take away from the article was that exposure to the industrial food system can cause many people's metabolism to break. Once broken, they don't respond to diet in the same way as those with a normal metabolism. Message: Don't become broken in the first place. If dieting can't address the problem effectively, that leaves only drugs and surgery. The pharmaceutical industry must be scrambling to market drugs to exploit all of this research. With obesity at an epidemic rate, the profit potential is enormous. And it fits with the modern pharmaceutical business model of developing drugs that must be taken for life by an ever-expanding chunk of the population. After all, they've got to come up with something as their statin patents expire. It might be time to reallocate some of my 401K. I loved that article. There is so much misunderstanding about weight loss and obesity and I think that she did a great job of making it easy for us non-scientific types to understand. There are so many variables that go into how the body works and it's so frustrating to constantly read crap articles about calorie restriction and exercise being the holy grail. Granted, I use both methods in my own weight-loss attempts, but I do so knowing that there is so much more to consider than just calories in vs. calories out. I, too, would like to see a study on maintenance done on people who lost their weight in a much less extreme manner. I've been weight stable for almost 3 years now, BMI around 26-27, better than the 34+ I used to be, but I eat less and exercise MUCH more than the never-fat. I resent it sometimes, have mostly accepted it by now. "I noticed that the two people they profiled for long term weight loss still ate things like toast, french toast, and good amounts of fruit. It seems all the calorie counting would be unnecessary for sustainable weightloss if they just cut out the refined carbs and sugar." It's not as easy as just cut the refined carbs and sugars, if it was we wouldn't see any low carbers gaining the weight back. Can you tell us your stance on dietary fat now then? Everything you've been posting about food reward, the hypothalamus link to obesity, and this article seem to indicate some kind of role for dietary fats in diseases of civilization, whether by making us eat more or through some other pathway. It also seems like it's not just PUFAs that have worsening effects on diabetes and metabolic syndrome. Care to comment? What about those people who-after years of living in the United States and experiencing weight gain- move elsewhere and lose all that weight? Not sure if this is a generality, since my sample size is n<10. However, in each of these cases (including my own), weight loss and maintenance were effortless due to easy access of nutritious, clean foods. Just to throw it out there- I was raised as a Christian Scientist. I allowed the medical profession to get their claus into me when I turned fifty last spring. Turns out I have athsma (lungs are about double normal size). Now that I can develop a runner's high I've dropped wieght and working on more (304 down to 261.4 this morning). But my temperature was normally 97F for years. Which suggests that there are things going on with BMR as well. I thought this was a very useful article in the sense of highlighting that the battle against obesity isn't just a matter of inadequate will power. I say that as someone who lost a significant amount of weight, -20%, by carb restriction (not low carb, just avoid starchy carbs and grains). However, I stalled about 10-15 lbs short of my goal weight, and it simply isn't easy to shed that last bit of belly fat by any means - low fat, high fat, high protein, exercise, calorie counting, etc. My body is definitely fighting me with appetite to keep those last fat reserves in place. - People get fat because they eat high reward foods. - What are high reward foods: the things that people get fat on! My reaction was "Duh"; dieters have known for years that there are certain kinds of food they need to avoid to keep off weight. Simply redefining those foods as high reward didn't seem to move the ball very much. What was missing (for me) was an independent measure of food reward. To me, the fact that after losing weight, food has a greater tendency to 'light up' the reward centers of the brain is very significant. So perhaps if one could directly measure the effects of different kinds of foods on the reward centers of the brain, there would be things of value that would come forth. I do feel sympathy for the Bridges - to have to obsessively track food intake and exercise on a daily basis to maintain weight loss has to be draining. I suspect it is the same kind of 'combat fatigue' that diabetics suffer, having to sweat on a daily basis the monitoring of blood sugar level and insulin dosage. I do wonder if they would be better served if they replaced some of that low intensity aerobic exercise with proper strength training, and if they didn't pay more attention to carbohydrate intact and the glycemic index of those carbs. It might make calorie cutting a little easier. Stephan, I sent you a little piece I wrote a while back on how the media reports the FTO gene. Here it is again, popping up and being reported in a way that doesn't exactly align with the findings of the research. There are a lot of articles online about the Amish community who have a high incidence of the 'double whammy' FTO genotype and no obesity. The 'fault' lies with modern diet and lifestyle, not the gene. As an ex-obese, I can confirm that I can't let loose and eat all I want. I'm used to that now and don't have the appetite that I used to. The trick was dealing with 'life'. While life was boring and stressful it was practically impossible to control my eating. Now that I've turned all that around, it is easy to stay away from 'entertainment' food. It was really hard at first, but now it's just what I do. @CraiginCT - "What are high reward foods: the things that people get fat on!" No. High-reward foods are those that make you go back for more, even though you've had enough. That they make you fat is a consequence, not a criterion of reward value. Did u see Taubes' petition re this article? It was a good and useful article, and it made it quite clear that the issue of keeping the weight off after a diet is still quite real. And not just real like with a single anecdote, but with data and information. But I had a real problem with the lack of coherence or a scheme in the diet issues. It seems to me that "food reward" relates strongly to grains and sugars and possibly seed oils, and so we are dealing with the consequences of that diet. One would think that an elimination of such factors would be the first logical step. 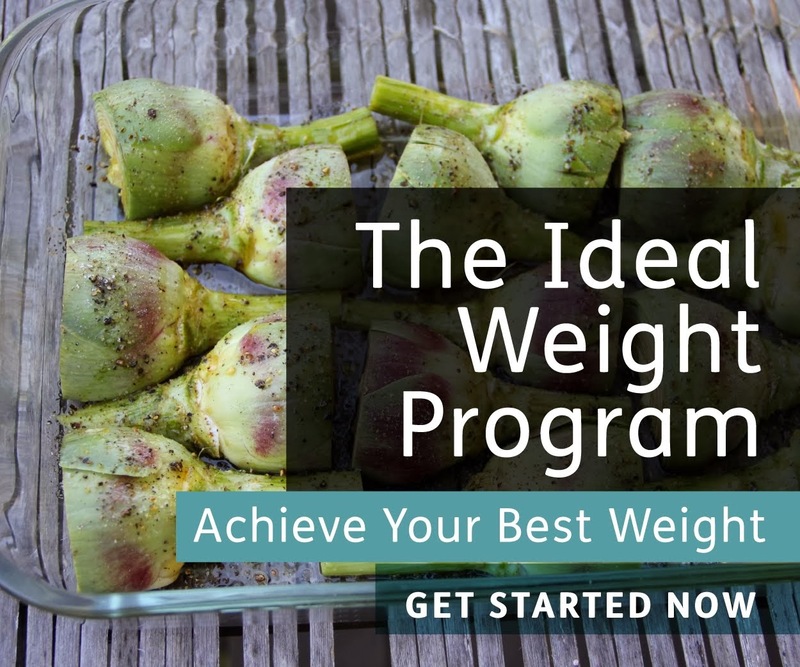 The next step would be, only after the weight goal was achieved, by the introduction of small amounts of non-grain carbohydrates and small amounts of fruit. Instead, what struck me was the torture these people went through to only get part way to their goal and then they still struggled with a low-fat diet scheme. It couldn't work, and it didn't work. Torture for sure. I hear of people "plateauing"on low carb high fat diets, and I can see that in myself, but I can change that if I reduce carbs: my weight drops in a few days. I then get comments from the girlfriend that I am looking too thin. So it may be that some weight above the starving hunter look is culturally desirable. It just strikes me that if food reward is real, that is certainly something that has to be addressed: Stop eating your favorite foods? Switch to a VLC diet until the desired weight is achieved? Somehow, for myself, my image of my body is the look I had when I was a college gymnast, 40 years ago. I don't want to start looking like the Pillsbury Dough-boy. My wife tells me I have great will-power to resist delicious foods, but I do not consider the various treats to be so delicious, really. >Amish community who have a high incidence of the 'double whammy' FTO genotype and no obesity. The 'fault' lies with modern diet and lifestyle, not the gene. Lifestyle, not diet. They engage in tremendous amounts of physical exercise as part of their normal daily life. You can do the same thing. Just walk to work and the grocery store, do your laundry by hand using a washboard in your bathtub, grind your own grain, shovel snow for everyone on your block, etc, etc. Same story in the rest of the world. Obesity has little to do with diet and everything to do with lack of slow but steady exercise. @Sarah Barracuda:High-reward foods are those that make you go back for more, even though you've had enough. That they make you fat is a consequence, not a criterion of reward value. Before I discovered low-carbing, what I went back for more were mainly fruits, mostly: grapes, bananas, apples, sometimes dried fruit. Yes, in those days I also ate bread (wholemeal,often home-made), but I later realised I hadn't really been going for the bread (gave it up 4 years ago &never missed it). Occasionally I had beer binges, but I wasn't really a regular drinker. When I went LC, I gave up all starches, honey,jam, beer, sweets, most fruit & all dried fruit. I ate meat,fish,butter,eggs, and cheese. (+occasional fruit). I found these very tasty and satisfying, but didn't go back for more when I didn't feel hungry (so you would say they were not high-reward foods for me, although I'd also eaten them before low-carbing, i.e. during the time I was at least borderline obese. (I hadn't drunk "sodas" since I was a teenager, & never ate processed food, so HFCS was not an issue for me. I'd never eaten much in the way of PUFAs. We'd eaten butter and cooked with cold-pressed olive oil. To these I added beef tallow and sometimes coconut oil to the oils/fats repertoire; I hadn't drunk much fruit juice, but I cut it out altogether anyway). I lost weight, slowly, but gradually, getting down from borderline obese, to just over the "normal" weight for my height, so I was still technically overweight. I never got below that (have not given up hope yet), so it wasn't a 100% success), but the only time I regained was when I added back in quantities of fruit. So was it "high-reward" foods that made me overweight? If so, these must have been the fruit and dried fruit. Not commercial packaged processed foods. Not HFCS-containing beverages. Not fast food (which I have always despised). Not "chips" (crisps) which I found boring. I used to like chocolate, but not high-cocoa chocolate, so was not a "chocaholic". I loved English milk chocolate which is low in cocoa but high in sugar. And of course so was the fruit I used to eat by the pound. (And not just high in fructose ... the distribution of glucose and fructose in the common fruits is not that different to that of sucrose (real sucrose, not the HFCS garbage). While I don't agree with everything Lustig & Taubes say about fructose, I do agree that sugars in general are addictive, at least for some people, and certainly me. After going low-carb, I could control my fruit intake, but only with great effort,so on the whole, it was better to avoid them altogether. To sum up my experience to date: I suppose you would say that I lost weight because I removed the "high-reward" sugars. Well, my diet also happened to be very low-carb, so I could say I lost weight because of the low-carbs. My diet was also high in fats,including butter, which people say is "high reward", & also included things like steak which I love. Taubes vs Guyenet: well, 50-odd Gary has been through struggling with middle-age spread, which is a "pleasure" that 30-odd Stephan has yet to experience. Numerous M.D.s and PhDs have signed the petition relating to the NYT article, i.e. supporting essentially the case that Gary Taubes has made. - People get fat because they over eat. - Why do they over eat? Because they are eating high reward foods. - What are high reward foods? The foods that cause you to over eat. So what have we learned from this: to avoid getting fat, don't eat foods that cause you to overeat. Not exactly profound. 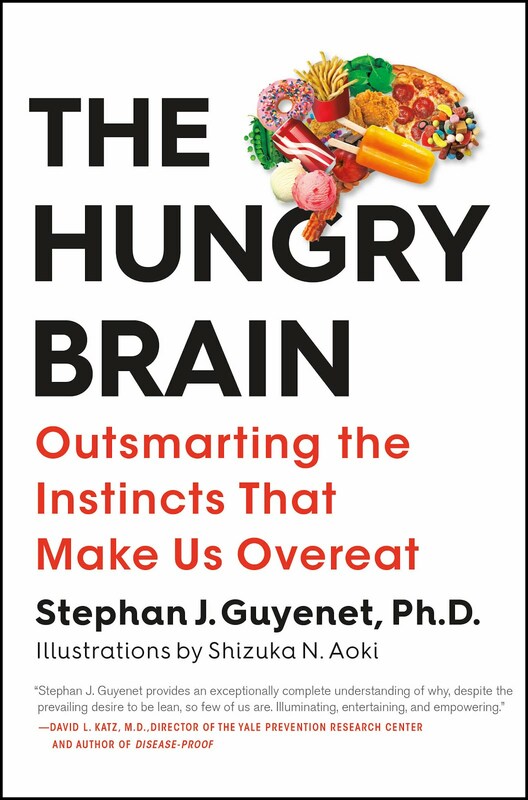 As long as food reward is measured or defined primarily by the consequence, overeating behavior, it doesn't seem to add much insight. - Do all people have the same response to each kind of food? Or does the food reward value of potato chips vary from person to person? If so, why? - What about a particular food causes it to have a high or low food reward value, either universally, or with a subset of similarly responding people? Is it the GI, or the balance of sweet and sour response, or combination of sugar and fat? Is a high reward food associated with a particular or unique hormonal response? Does that vary by individual? - Why is it that some people aren't overeating with the same foods that cause other people to binge like crazy? You can't control your fruit intake because its extremely low calorie and your not eating enough to satiate you. Meat and fat are much more calorie dense and protein is extremely satiating. You gain weight when you eat large amounts of fruit because its water weight. My experience is close to montmorency, I am a LCarber, and the hardest thing to give up was fruits, I am not a chocoholic or a soda drinker, always cooked my own food, bread is not a big thing for me. For better or for worse, I have some fruit tries in my backyard (oranges,lemons, pomegranates, peach, blueberries )I even managed to snack on low amounts while in ketosis. Now it is no snacking on anything, but I eat sometimes piece of fruit after a meal. I found out, cutting carbs is not enough, I also limit the amount of food and avoid foods I can't stop eating, like nuts. I am not hungree all the time. I am still not thin (BMI around 27, clothes mostly size 12, some 10), so I am using every strategy I can, except torturing myself like the couple in the article in order to maintain my weight loss of 30+ lb. The author creates the impression that the way she described in the article was the only option to deal with a weight loss and maintenance, and I resent it. I think that dietary fat is not inherently harmful, for most people, within the typical range of intakes. Whether or not higher fat intakes (>50% kcal) are harmful over the long term in certain genetic backgrounds remains to be seen. I think that most Europeans, Africans and Asians descend from populations that were partially adapted to high-starch agricultural foods, and probably none of those lineages spent much if any time eating high fat diets (there is much talk of the European HGs that ate near-carnivorous diets, but I'm not aware of any evidence they were our ancestors-- there was a wave of agriculturalists from the middle East that swept through Europe thousands of years ago. I suspect the HGs did make a genetic contribution to us but it was probably small). If you look back 100-200 years, when obesity was uncommon, the typical US and European diet was starchier and less fatty back then. High fat intakes seem to be pretty harmless in the medium term IMO (~2 years), as long as carb intake doesn't go too low, and clearly they can be compatible with fat loss if carb is restricted. I think the clinical trials have demonstrated that conclusively at this point. I'd like to have more data on long-term outcomes though, since this kind of diet is not really ancestral IMO. Despite the fact that fat is probably not inherently fattening, I think it clearly plays a role in obesity. That's because adding fat to foods increases reward/palatability value and energy density, leading to overconsumption in susceptible people. There are countless studies showing this is the case. But this is a context-dependent effect because it is not observed during carb restriction. Palatability/reward effects explain this discrepancy nicely IMO. So in conclusion, I think it's complicated, but IMO there is no need to avoid traditional dietary fats if calorie intake, body weight and metabolic health are all good. If a person is overweight, lowering dietary fat in the interest of reducing reward and energy density is a strategy that works for some people. Lowering carbohydrate also works, although neither strategy alone will necessarily be very effective. The circularity argument is based entirely on a misunderstanding of the definition of the terms 'reward' and 'palatability'. For it to be circular, increased food intake would have to be part of the definition of reward and palatability, but it isn't. The reward value of a food is not defined by how much of it you eat, and neither is palatability. Reward is defined by how behaviorally reinforcing something is. Palatability is defined as the subjective pleasure derived from eating a food. Subjective but quantifiable. For example, one application is that you can measure the palatability of a food in a particular person by giving them a taste of it and having them rate its pleasantness. What you find consistently is that the pleasantness rating predicts total intake of that food when it is later presented in unlimited amounts. That particular finding is not exactly rocket science-- it's just a confirmation of common sense. @Stephan - Maybe one reason you continue to run into problems is that, while it is standard in your lit, 'reinforcing' is behavioral psych language, and might not be THE most illuminating term. Why not translate into colloquialisms more often (I only count one, your 'Little Debbie Cake' example)? E.g., high-reward foods as those that 'call your name'. And given the ubiquity of these foods (<=> dearth of situations where they're NOT available)--and that, unlike your rodents, we don't have to endure electric shocks to obtain them--we more often than not heed their call, *and thus* overeat.